- The Licranium Camo Suit is a very small, sturdy piece of clothing based upon a swimsuit. The main structure of the suit is a firm blend of spandex, wool and Licranium to a ratio of 9:1:4, providing the form-fitting spandex with the properties of warmth and sturdiness known best to come from wool. However, what makes it special is an incredibly rare material known only as Licranium; it reacts to Isidora's skin colour, able to detect her changing her own colours. When she does this, the suit will change colour to match. Due to the rarity of Licranium, Isidora has only managed to make a swimsuit based design for the suit. 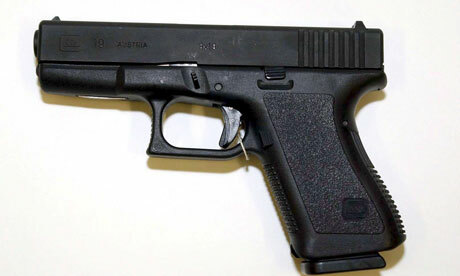 - The G19AL2 is seemingly not much different than the regular Glock-19; a compact little gun, holding 15 rounds of ammunition, polymer frame, using 9x19mm bullets. However, it differs from most Glocks in two main respects; first and foremost obvious is that it is built to specifically fit to Isidora's hand, giving her a firmer grip and allowing her to be much more accurate and almost undoing recoil. The second significant change is its compatibility with Typhon and Leto built multi-purpose cartridges, which can interchange from being a harmless tranquiliser to being a deadly incendinary round that can cause explosions upon contact with a target. Can Russian (Red), English -(Blue), German (Green), French (Cyan), Dutch (Orange), Chinese (Yellow), Japanese (Violet) and Turkish (White).